The single-story homes in the Resort Collection will range in size from 1,342 to 1,678 square feet. Pre-grand-opening prices start in the mid-$300,000s. BONNEY LAKE — Trilogy at Tehaleh is offering two opportunities for buyers ages 55 and older to select their dream home: the all-new Resort Collection and the February National Sales Event. Trilogy at Tehaleh is now selling the Resort Collection, the first attached single-family homes within the master-planned community of Tehaleh. The fee-simple, single-story attached homes make the most of usable space. Buyers can choose two or three bedrooms and two or 2.5 bathrooms in floor plans that range in size from 1,342 to 1,678 square feet. Two-car garages are also included. For a limited time, homes in the Resort Collection are being offered at pre-grand opening prices from the mid-$300,000s. 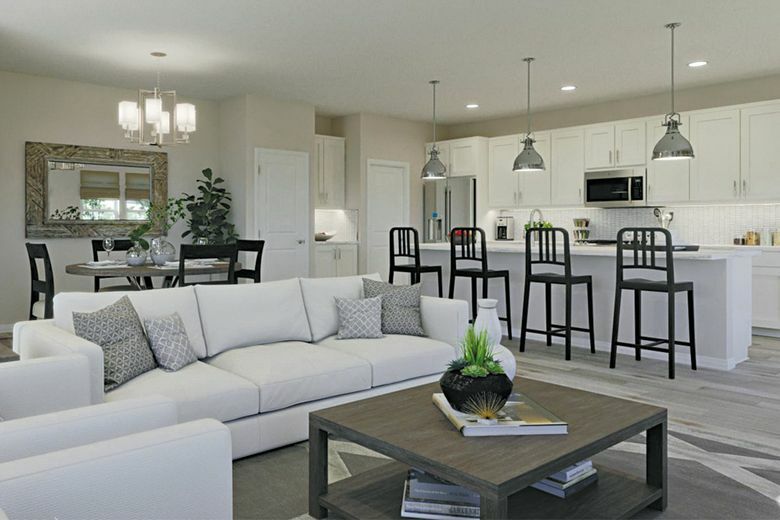 The Resort Collection’s two model homes are under construction, with grand openings scheduled for March 16 from 1–4 p.m. During the event, visitors can enjoy music and food, and tour the new models. Until then, interested homebuyers are invited to schedule a hard-hat tour of the models on Saturdays and Sundays from 9 a.m. to 5 p.m. This is a chance to check out the progress on the models and get a sense of the spaces and layout of the homes. Virtual tours of the Resort Collection plans are also available online, which provides the opportunity to explore each home, room by room, and get an immersive, 360-degree view of the open-concept living spaces, including covered patios, gourmet kitchens and elegant master suites. Through Feb. 28, homebuyers at Trilogy at Tehaleh can get an extra $10,000 incentive on select quick-move-in homes during Trilogy’s National Sales Event. Quick-move-in homes are the perfect solution for those who are ready to move sooner rather than later, and would prefer to leave the design choices to the professionals. The homes include many features and upgrades carefully chosen by Trilogy’s designers. 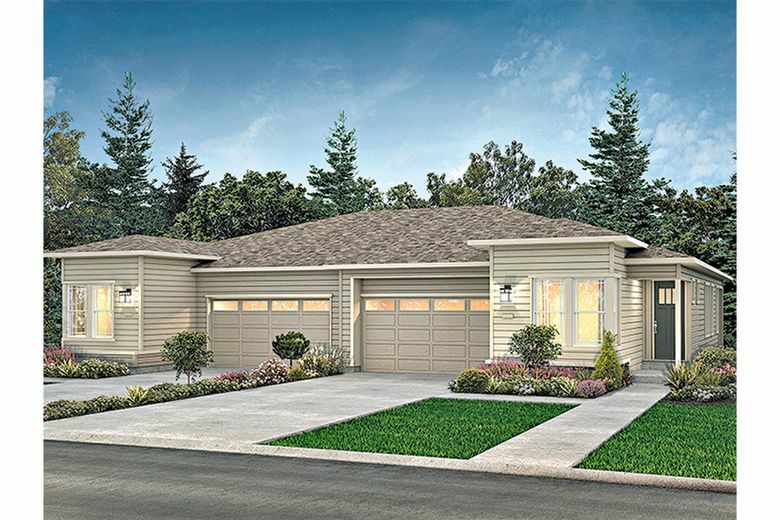 The Resort Collection will offer the first attached single-family homes within Tehaleh. Trilogy at Tehaleh is located in Bonney Lake, just east of Tacoma and Seattle, and is surrounded by the natural beauty of the Pacific Northwest with Mount Rainier as its backdrop. Life at Trilogy revolves around the private resort club, Seven Summits Lodge, home to an upscale restaurant (The Mantel Culinary Ascent), a fitness studio, a sports escape with pool tables and flat-screen TVs, a game room with poker tables, a culinary studio with cooking demonstrations and classes, and more. The Lodge also has an indoor lap pool that transforms into a meeting space, a great lawn for outdoor events, and pickleball courts. The community also offers a full social and events calendar and miles of trails for hiking and biking.